Ventilation Systems Design Manual from C.H.I.P.S. 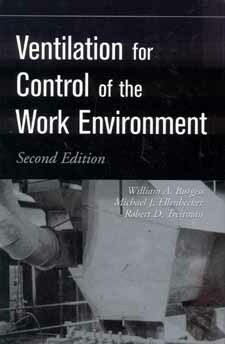 Ventilation for Control of the Work Environment explains the rationale of the material contained in the ACGIH Industrial Ventilation manual while demonstrating both the theoretical and practical aspects of the subject. The design of local exhaust ventilation systems is illustrated by examples taken from the authors� industrial experience. In addition, end-of-chapter problem sets are now presented to reinforce the content of appropriate chapters. Both English and metric units are used in this new edition, and new ventilation practices and research advances are noted throughout this major revision. Detailed coverage of both theoretical and practical aspects of industrial ventilation systems��newly updated in this Second Edition!